Select a valid choice. 15 is not one of the available choices. 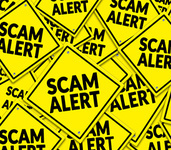 Apr 16, 2019 — People are receiving letters that are addressed to them informing them that they have won millions in the 2019 Mega Lottery Picker. This is a SCAM. 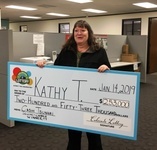 Apr 9, 2019 — Ever wonder what it feels like to win a Colorado Lottery second-chance? It's a moment these winners will never forget. 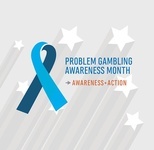 Apr 8, 2019 — Drum roll, please! 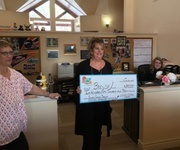 The Colorado Lottery is excited to announce the 11 recipients of the 2019 Starburst Award. Mar 26, 2019 — Wednesday’s $750 million Powerball jackpot is enticing, but the Colorado Lottery wants to remind customers to play responsibly. 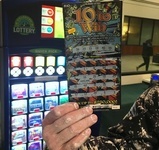 Mar 19, 2019 — Victor P. from Westminster won BIG playing 10 to Win. 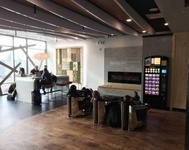 Mar 4, 2019 — Visit Denver International Airport (DEN) and you will find a fresh, new spot to take a load off your feet, charge up your device, and even take a little lottery break. 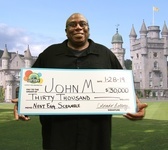 Mar 1, 2019 — Robert G. from Edgewater won $50,000 playing Illustrious Income. 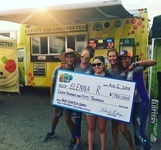 Feb 1, 2019 — Here's a winner's story that's hard to beat! Jan 29, 2019 — Bill Clayton of Littleton was appointed to the Colorado Lottery Commission. Jan 25, 2019 — We surprised Brenda L. at work in Parachute today! She won $250,000 on a second-chance Bonus Draw for Crossword Explosion. Jan 14, 2019 — We have a winner! Dec 19, 2018 — What better time to win a quarter-million-dollar prize than right before the holidays? There is no time like the present for one Denver man. 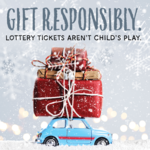 Dec 11, 2018 — A reminder that this holiday season that Lottery tickets aren't child's play. 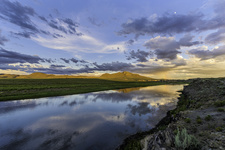 Nov 26, 2018 — The Western River Conservancy will receive a Starburst Award for the protection of 17,000+ acres in San Luis Valley. 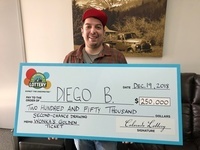 Nov 20, 2018 — Two winners worth $25,000 a year for life sold in Colorado last night, in Denver and in Eagle. 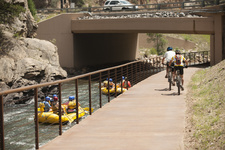 Nov 7, 2018 — Jefferson County and Clear Creek County open spaces to receive Starburst Award for Clear Creek segment of the Peaks to Plains trail. 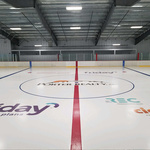 Nov 7, 2018 — The City of Alamosa to receive Starburst Award for Alamosa Multi-Use Pavilion and Ice Rink. Oct 24, 2018 — The Mega Millions and Powerball mascots frolicked in Denver's Confluence Park on Tuesday, reminding passers-by about the huge jackpots up for grabs this week. 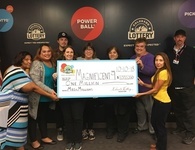 Oct 22, 2018 — With no jackpot winner in Friday’s Mega Millions drawing, the jackpot continues to skyrocket, with over billion dollars up for grabs on Tuesday. Oct 12, 2018 — Montrose Recreation District to receive Starburst Award for Community Recreation Center. Oct 10, 2018 — Lottery Commission gets new commissioner, reappoints Chair. Oct 10, 2018 — The Mega Millions jackpot for Friday night is now $548 million! Oct 10, 2018 — Congratulations to the Magnificent 9! 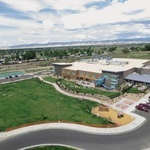 Sep 28, 2018 — The City of Grand Junction to receive Starburst Award for Las Colonias Park Amphitheater. Find answers to common questions in our robust FAQ. Still looking for answers? Contact us directly.